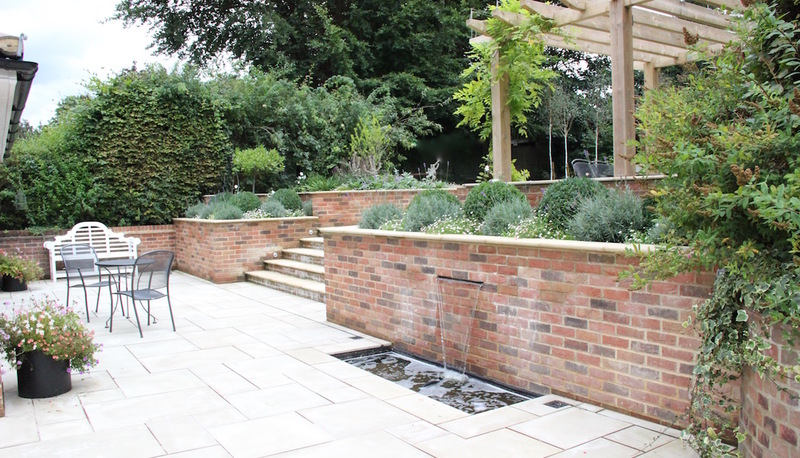 Playing with different levels brings a new dimension to garden design for a contemporary feel, stick to a simple colour scheme with shots of colour. Our clients were planning a large extension to the rear of their modern bungalow, resulting in the loss of most of their patio. 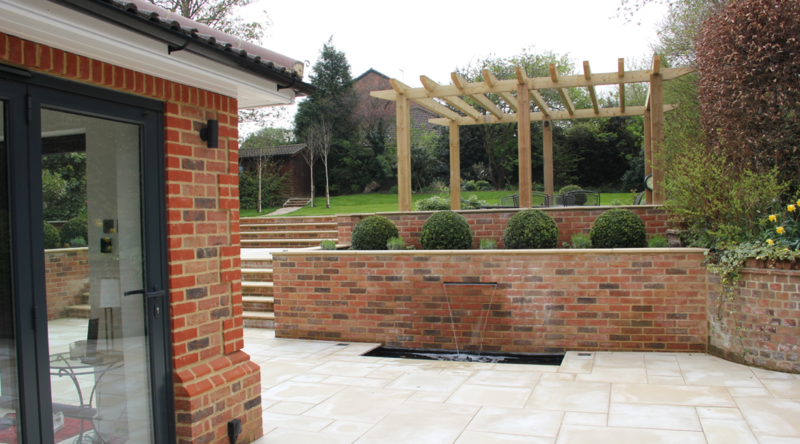 They wanted their new garden to reflect the contemporary feel of their home. 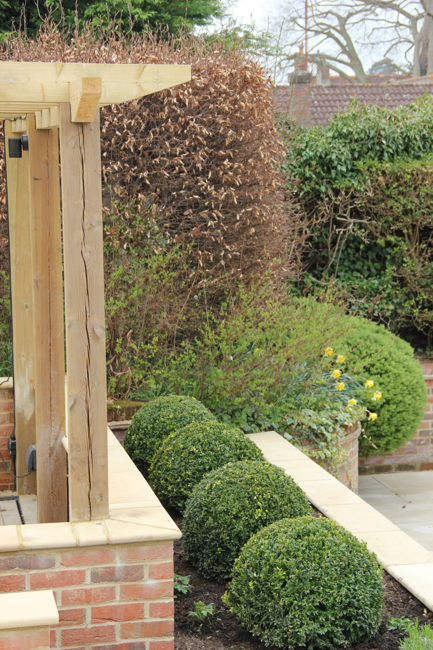 As the site had an overall drop of more than a metre down, we installed terraced flower-beds and a raised dining area including an oak pergola. 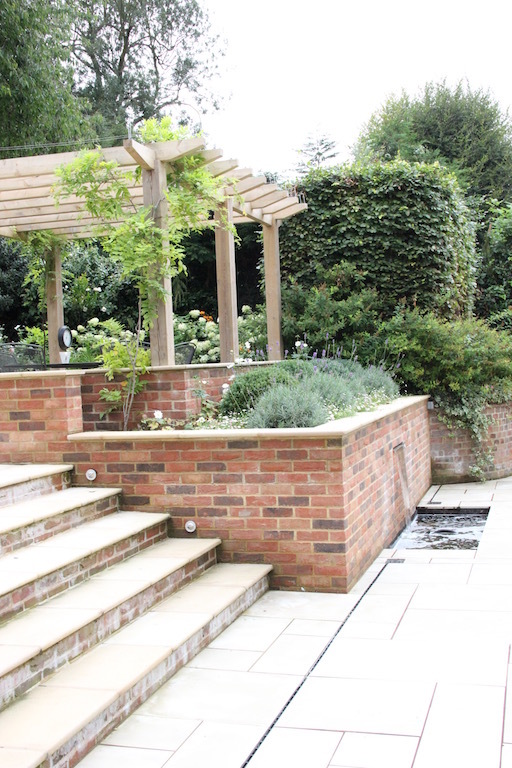 Wide steps led to the lawn with an additional gravel path towards a new garden office. Formal large box balls were softened with perennials for a structured yet airy feel to the planting. The colour scheme was mainly white with splashes of purple. 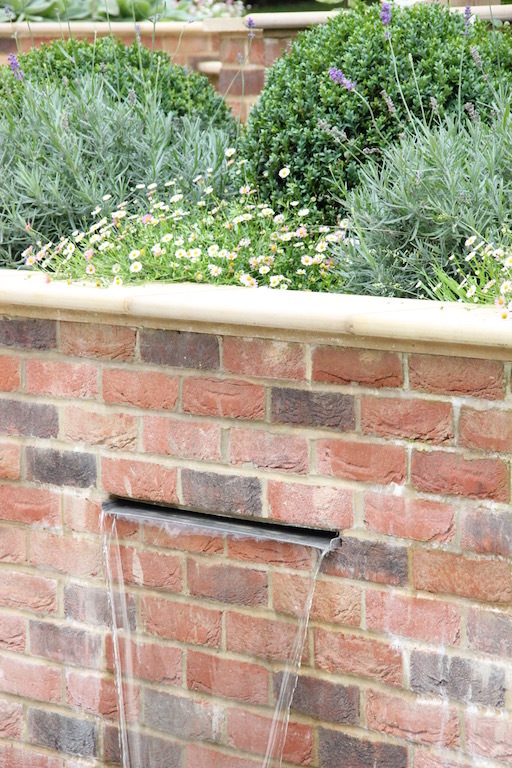 "This was the first time we had used the services of a garden designer. I chose Amanda because I was impressed with the pictures of gardens that she had completed previously. Amanda's design was great, she listened to what we were trying to achieve and our needs as a family, suggested some great ideas and provided a plan that we immediately agreed as it provided a great layout for our needs. Amanda is very easy to work with, and also worked well with builders we already had on site for our house renovation, as well as recommending landscapers to help deliver the plan. When we needed to discuss any amendments to the brief, she was always pragmatic and quick to offer different solutions so that we achieved the best outcome.